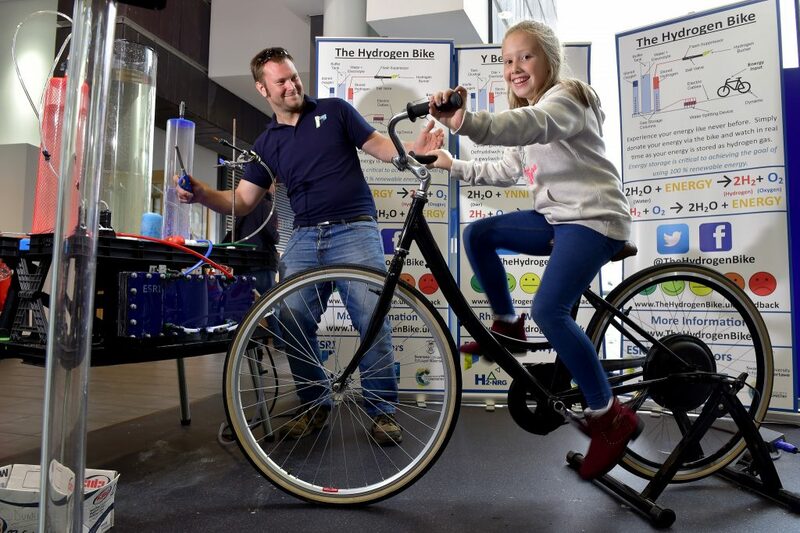 Awesome day out at the Super Science Saturday event in the National Water Front Museum in Swansea. 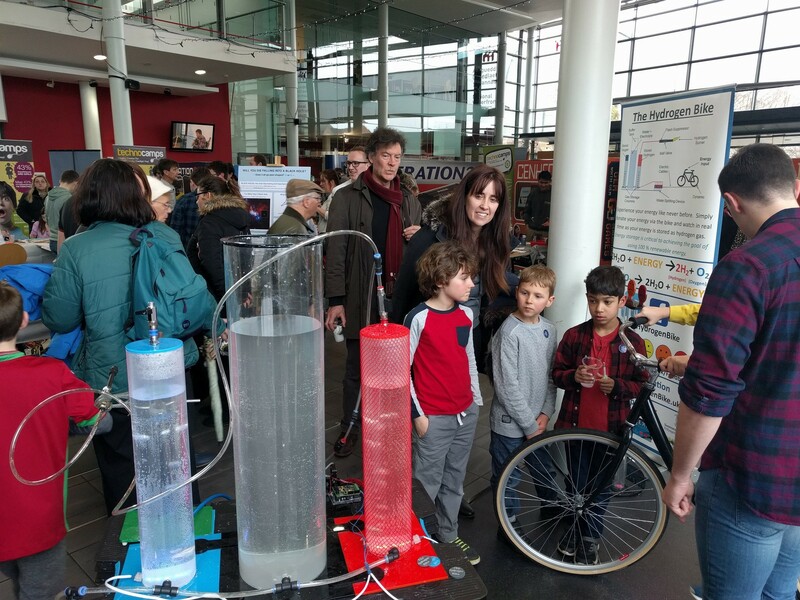 The total door figure for the day was 1,987 visitors, an increase of 96% from “Super Science Saturday” in March 2017. 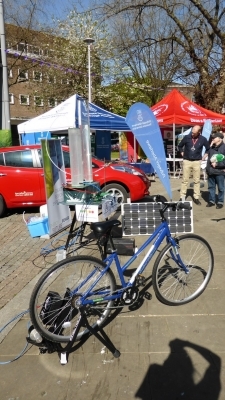 We had more than 454 conversations involving 192 people on the bike and in addition showed 35 people around the new Hydrogen car. 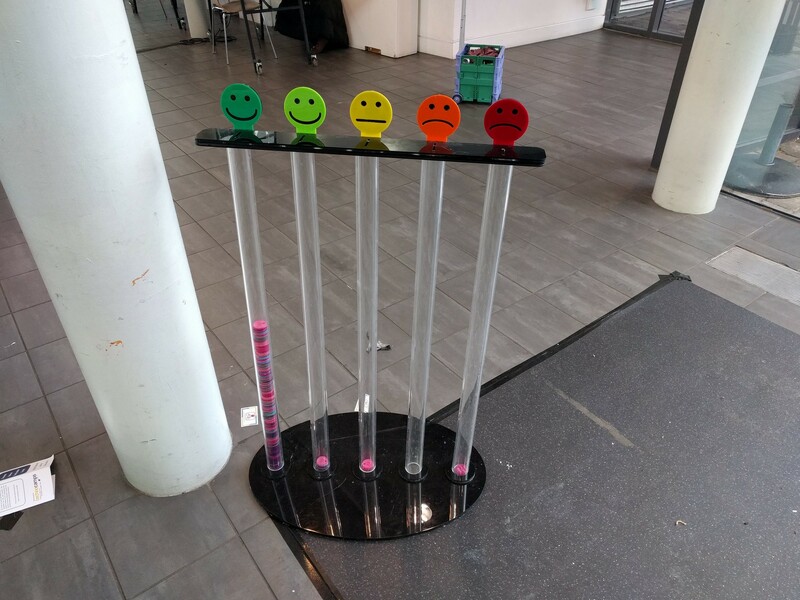 Amazing few days at the National Waterfront Museum. 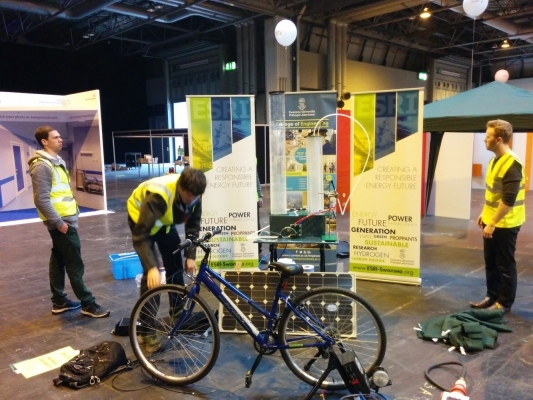 This is going to turn into an annual event so if you missed us do look out for us and far more next year. 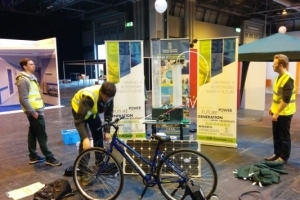 Set-up was on Friday with loads of people coming by. 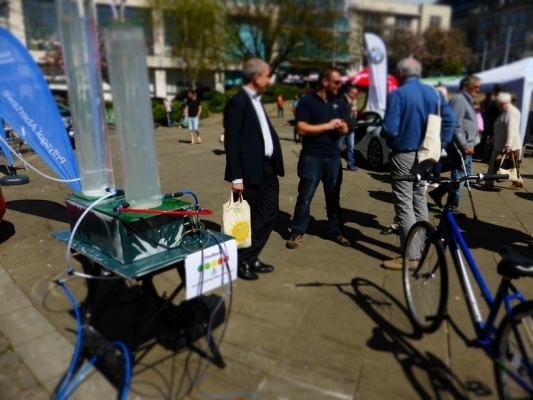 Saturday was run by Rob and Bill seeing thousands of people and having the busiest day ever at the museum. 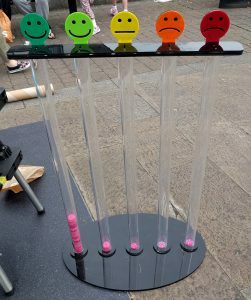 Sunday I was back with Bill. 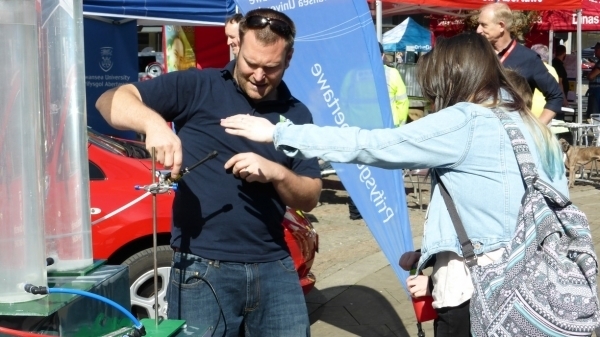 This photo kind of sums up the day so it was hugely successful. 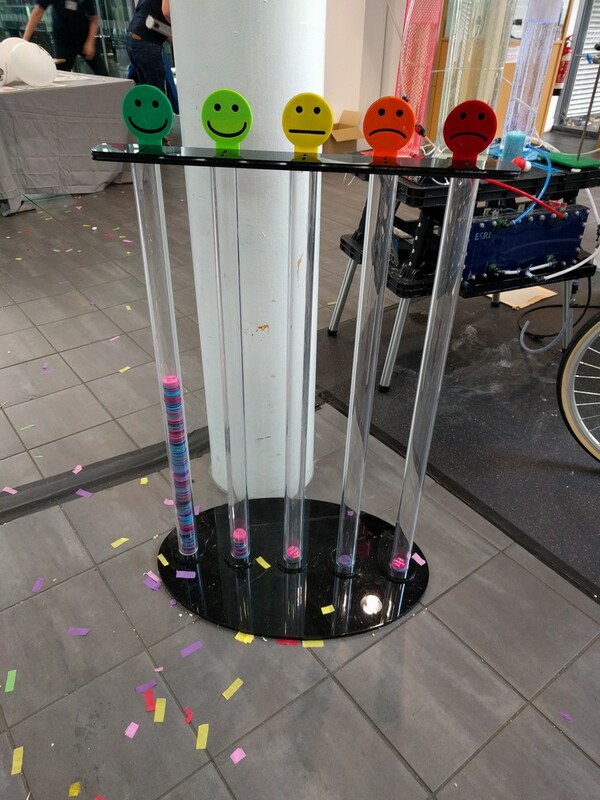 We ran out of space in the token smiley counter so had to empty it halfway through the event. 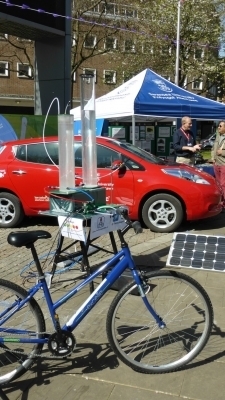 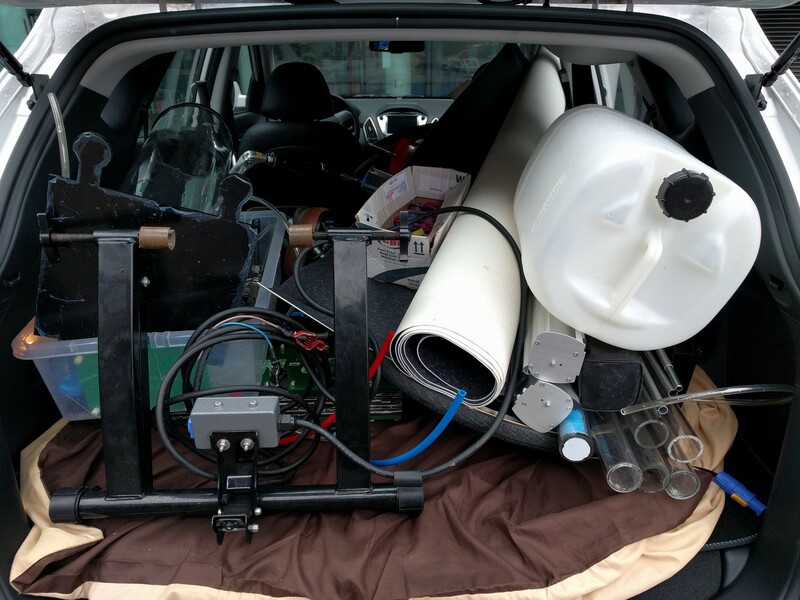 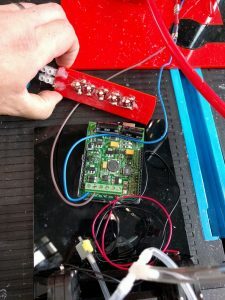 A couple of additions to the setup saw the hydrogen fuel cell operating. 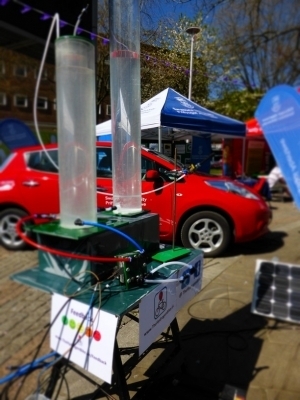 This was amazing as it had the LED's under the water column operating from the hydrogen itself, rather than a battery. We also saw the electrolyser moved out from under the table onto its own little table. 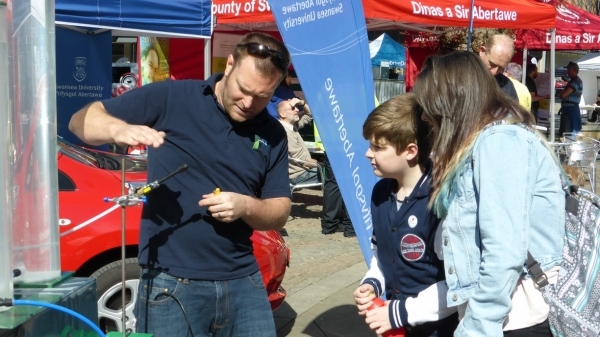 We spent the day in the central square in Neath. 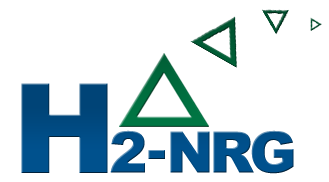 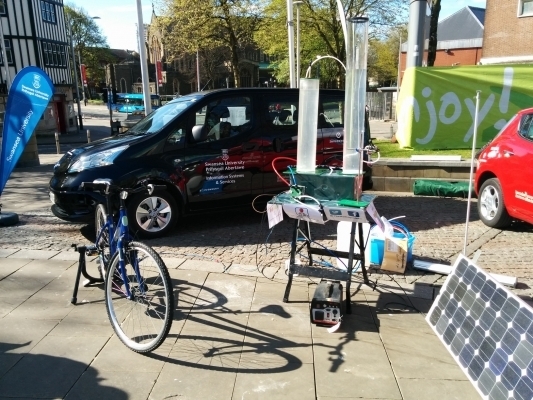 Was a wonderfull day of interacting with people about the use of Hydrogen as an energy vector and the energy source of the future, many of whome would not attend a special science fair. 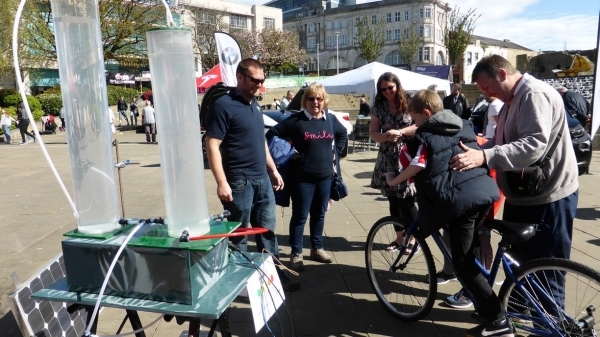 All in it was a great day and a good warm up for Swansea science festival coming up this weekend. 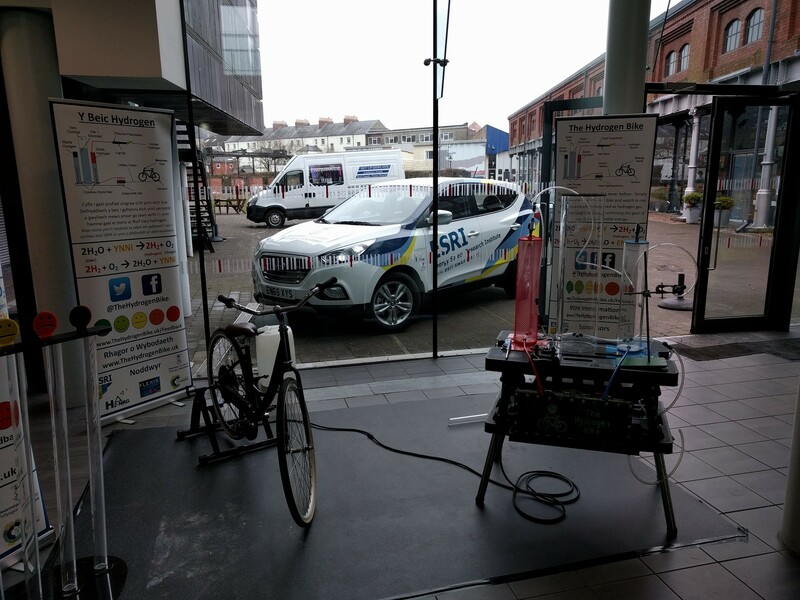 Long day chatting to people at the #CleanAirRoadshow at Swansea. 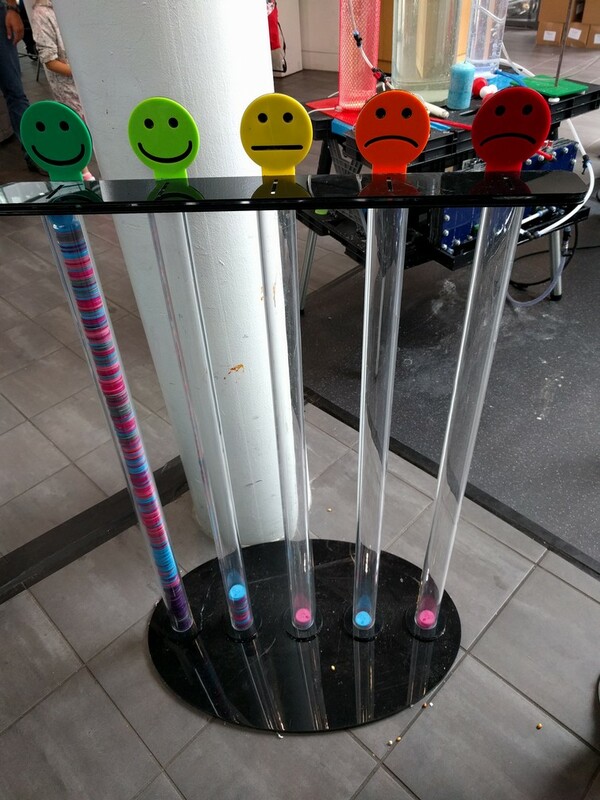 what an Awesome day. 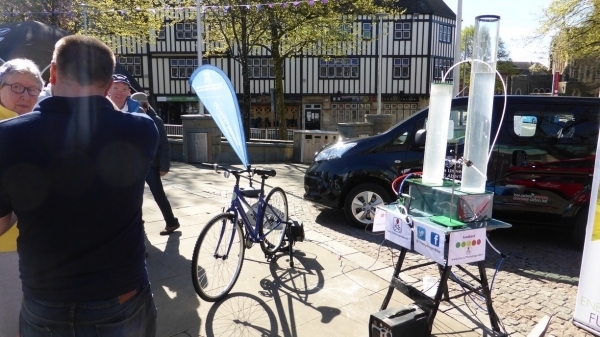 The weather was excellent, and we had loads of people on and off the bike chatting about Hydrogen. 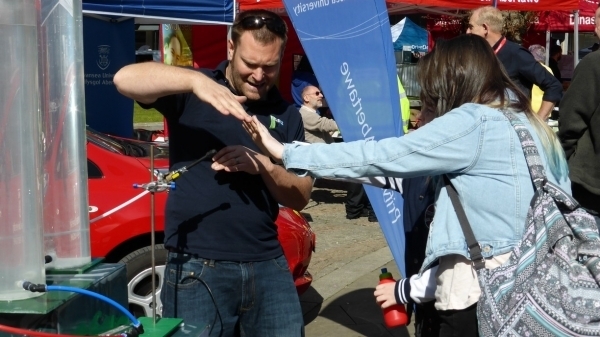 The sun made it really difficult to see the flame but we managed to show that it was it. 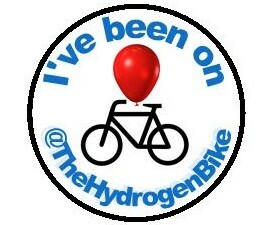 We had our “I’ve been on @TheHydrogenBike” stickers fo the first time, making it super brilliant seeing people walking around with our stickers knowing that they had been on the Bike earlier. 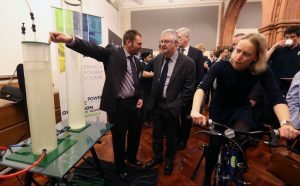 These were a great success and will become a regular part of out exhibit. 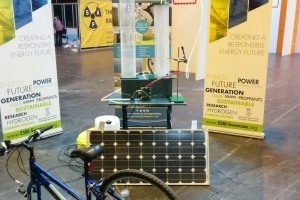 The solar panel that I use to help the cyclists did a lot of the work today and we even found that the bike would run itself when they were both connected. 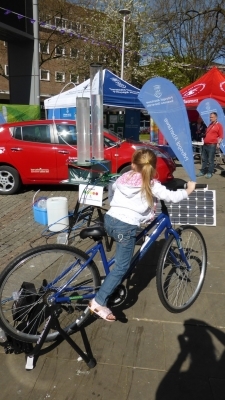 Bring on the solar energy. During the day we spoke to more than 350 people and had at least 100 on the bike. 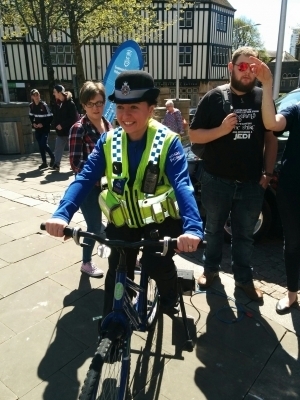 Thanks to everyone who showed up to talk to us and to have a go on the bike. 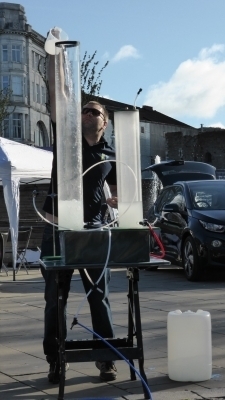 OK so in many conversations, with people I refer to a youtube video of me cooking an egg on hydrogen, so here it is. 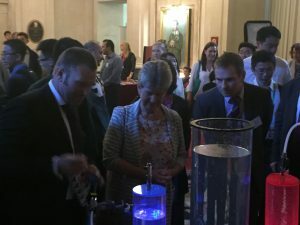 There were a number of highlights for me. 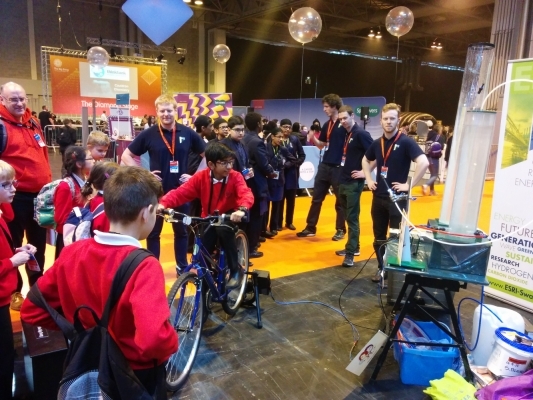 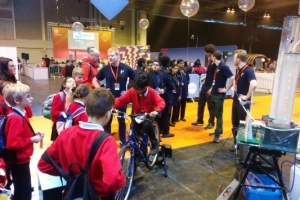 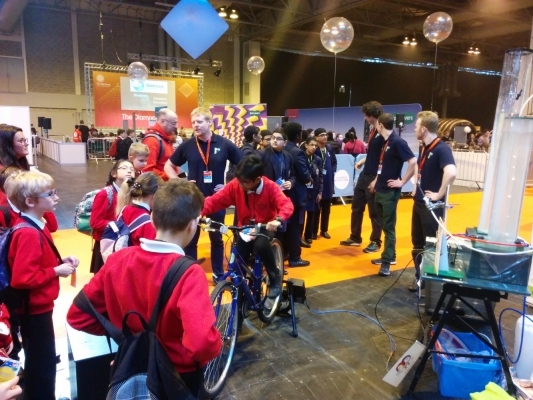 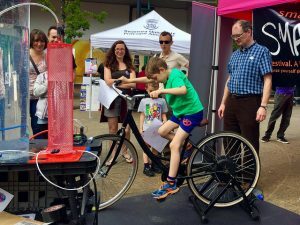 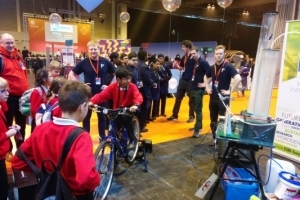 People declaring that we were the “Best event at the whole show” were pretty touching, as was the young lad who climbed out of his wheelchair and onto the bike in order to see his own hydrogen bubbles. 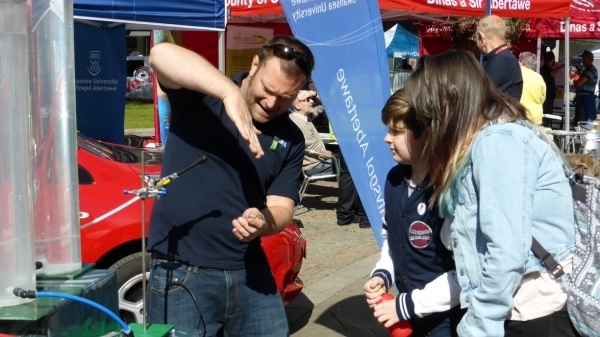 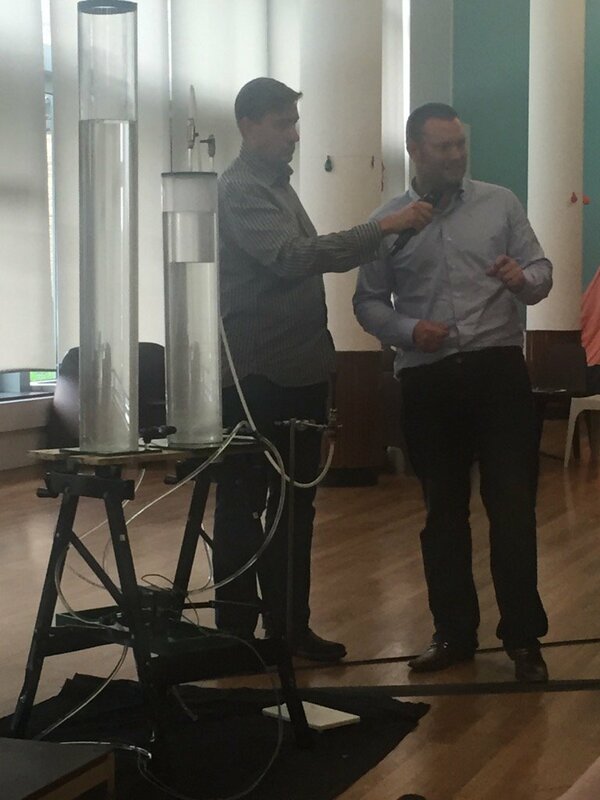 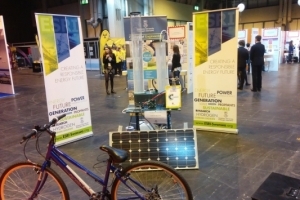 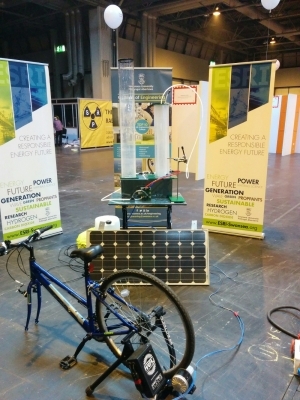 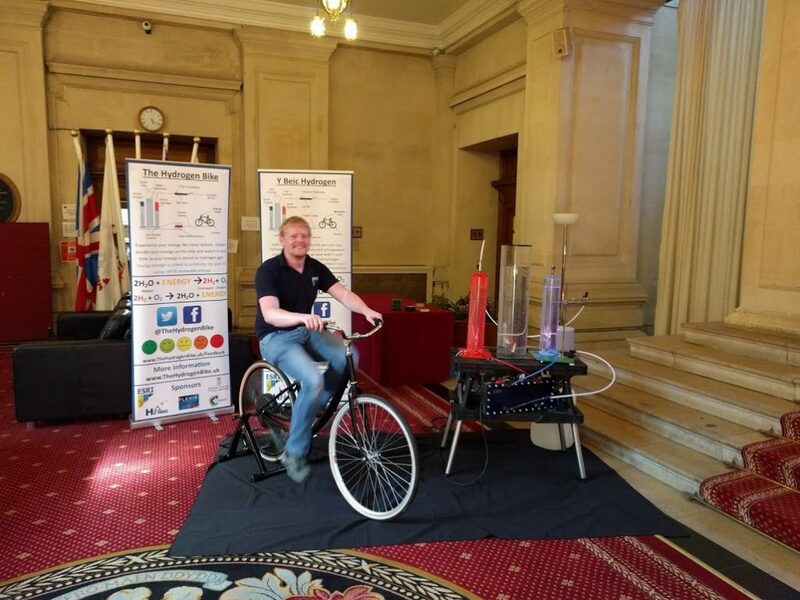 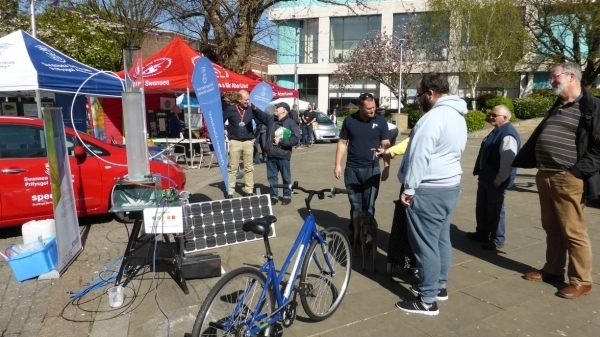 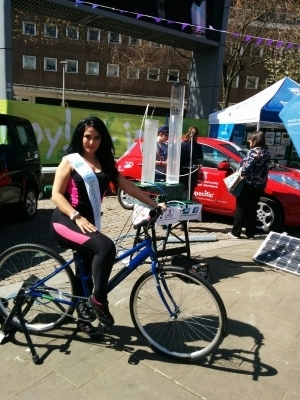 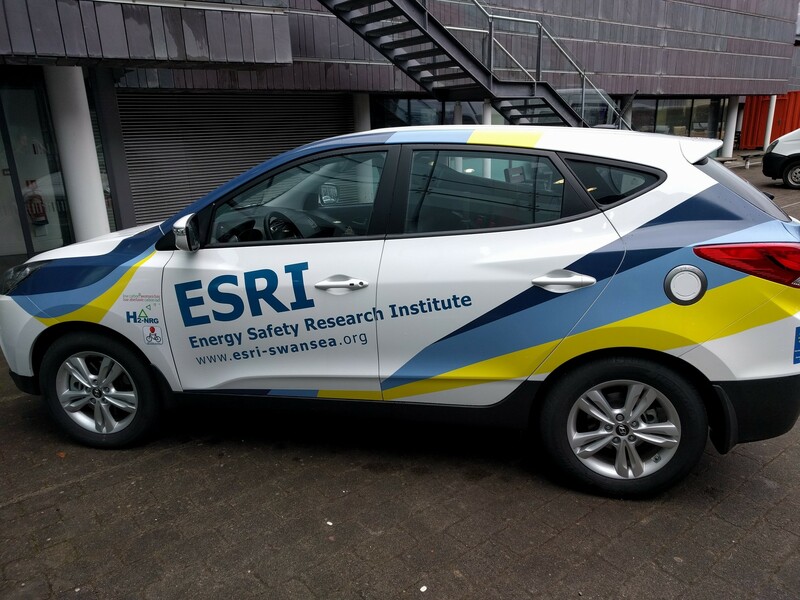 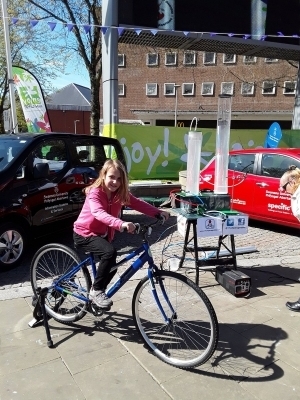 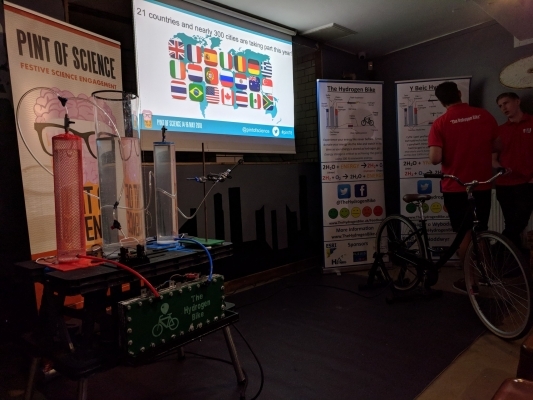 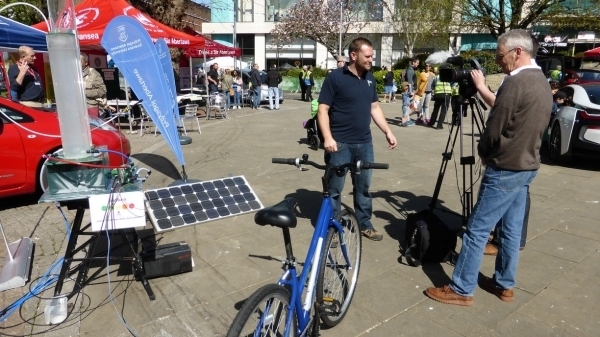 Some of the more in-depth conversations about sustainable living and energy transfer were great, as was the animated argument about how we should ignore the laws of physics and run the bike off the hydrogen energy in order to make more hydrogen…..
BSF came to Swansea in 2016. 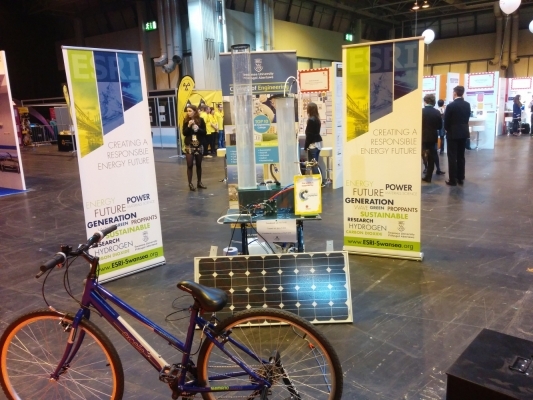 We saw loads of people through the days that we were on display and spoke to all sorts of interesting and interested parties about the role of energy in our future. 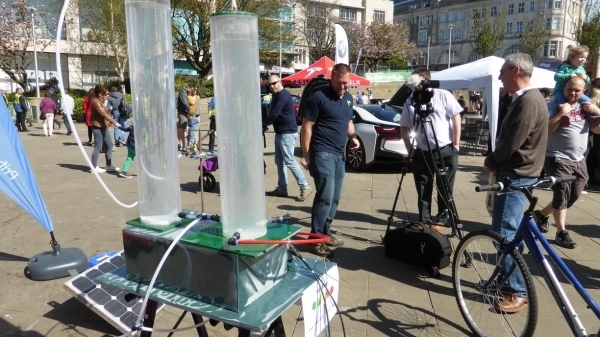 The highlight for me was to be on the big talk stage showing the concept whilst it was broadcast live on the big screen in Swansea Castle Square. We also made a splash across the world in Melbourn Austrailia with a radio show describing our activities.